Periodontal treatment may be administered in several different ways, depending on the best course of action for your oral health. Dr. Montz or Dr. Maher may recommend a consultation with our periodontist, Dr. Andrea Varesic, if they find signs of periodontal disease through the course of a checkup or other dental care appointment. Bleeding Gums – Any bleeding while brushing or eating is a commonly overlooked symptom of gum disease. Chronic Bad Breath – If you have bad breath or a bad taste in your mouth, even after cleaning your teeth, it may be because of gum disease. Loose Teeth and Gum Recession – If your teeth look longer or feel wiggly, this could be because of gum and bone loss due to gum disease. Patients with heart disease, diabetes, osteopenia, or osteoporosis may experience a higher rate of periodontal infection as well. 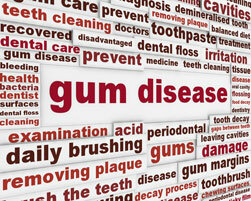 Surprisingly, the bacteria that cause gum disease can spread to other parts of your body. Changes to the lips, cheeks, palate, and gum tissue should always be discussed with a dental health professional. We recommend that you perform a self-examination monthly and keep track of any changes. Whatever you do, don’t ignore any suspicious bumps or sores. Dr. Montz, Dr. Maher, and Dr. Varesic work together as a team to provide you with the best possible care. They will combine their experience to formulate the most effective maintenance plan for you. 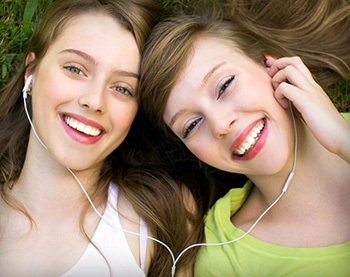 Together, they will help you fight back against gum disease! To prevent periodontal disease, you should carefully and conscientiously follow the guidelines of the maintenance program that Dr. Montz and his team will provide after your treatment. Protecting your periodontal health through preventive maintenance is advantageous for you. You will be able to chew comfortably, smile openly, and speak confidently. Your commitment to maintenance therapy is your commitment to your better oral health. If you have any concerns about your gum health, please contact us so that we can help! Call our office today to schedule an appointment for friendly dentistry!